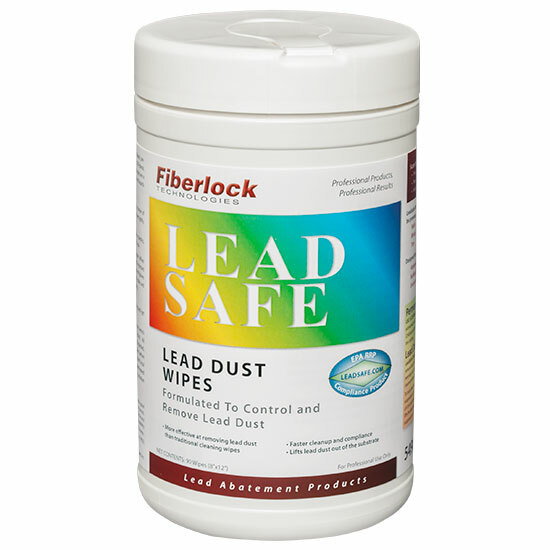 LeadSafe Lead Dust Wipes are conveniently-packaged towelettes that aid in surface preparation and cleaning when quick removal of harmful lead dust is needed. LeadSafe Wipes are ideal for use before and after any lead abatement project, as well as a critical part of controlling lead-based paint dust hazards. LeadSafe Wipes were designed for use by: Abatement contractors, painting contractors, public health inspectors, environmental specialists, home owners, building owners and apartment renters. Store in a dry place at temperatures between 40°F (4.5°C) and 90°F (32°C).